Here's a closer look at those Republicans who will be crucial to getting the bill across the finish line. President Trump and Republican leaders unveiled a nine-page framework to rewrite the nation’s tax code this week to rave reviews from within their party. But now the hard part starts – with the tax-writing committees in the House and Senate tasked with settling some of the most divisive issues. Questions from whether to set a rate above 35 percent for top earners to how to limit corporate interest deductions could easily fracture the Republican Party. With 52 senators in their ranks and little hope of Democratic support, Republicans can’t afford to lose more than two members to get a bill passed. They also can’t afford another legislative loss following their failure to repeal the 2010 Affordable Care Act. The fate of Trump’s promise of a historic tax revamp could be determined by six key Republican senators: Bob Corker, John McCain, Rand Paul, Pat Toomey, Orrin Hatch and Susan Collins. 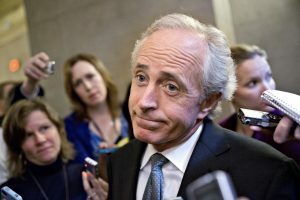 Sen. Bob Corker insists that he won’t support a tax bill that adds to the deficit. Sen. John McCain says he’ll support tax legislation only if it’s a product of hearings, debate, amendments and bipartisan support. 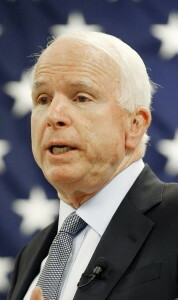 McCain, 81 and battling brain cancer, has a history of bucking his party on the issue of taxes. 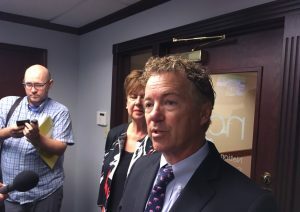 The Kentucky libertarian is never an easy vote to win over – he proved it during the health-care debate by staunchly opposing the Senate’s last opportunity to undo Obamacare before the Sept. 30 deadline, complaining that it didn’t go far enough. And now he’s staking out a far-reaching position on taxes, too, calling for a “large cut of at least 15 percent for every taxpayer” in an Aug. 30 op-ed. 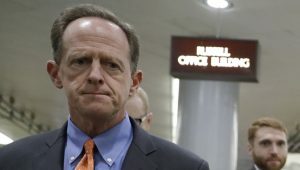 Toomey, along with fellow tax wonk Sen. Rob Portman of Ohio, are seen as the Senate Finance Committee’s thought leaders on tax policy. One of Toomey’s big priorities: “Expensing capital might be the most pro-growth element of this exercise,” he said Wednesday. 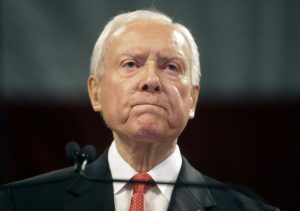 As chairman of the tax-writing Finance Committee, Sen. Orrin Hatch, R-Utah, will have a great deal of influence on the final bill. Hatch’s panel has a 14-12 split between Republicans and Democrats, which means he can afford to lose no more than one Republican if Democrats decline to play ball. He said he hopes to win Democratic support, but conceded that it “would be unique” in this political environment. The Maine senator has voted for numerous tax cuts in the past, including the Bush tax cuts of 2001 and 2003. 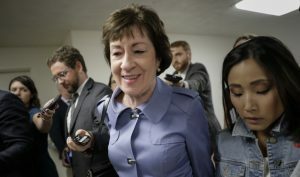 But she has also taken some heterodox positions that could be a factor: In 2015, she was the only Republican senator of 55 who broke ranks and voted against a budget measure calling for repeal of the estate tax, which the Trump-Republican framework seeks to do. In 2008, she voted for a measure to raise the top tax rate for people earning more than $1 million.